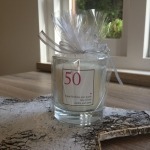 A luxury hand poured scented candle, personalised to order. This candle, hand poured in England, is of the highest quality. It burns beautifully for approximately 40 hours and is presented in clear glass with a bespoke label. There are five different fragrances of candles available to select from and a choice of colours for the detail on the label. 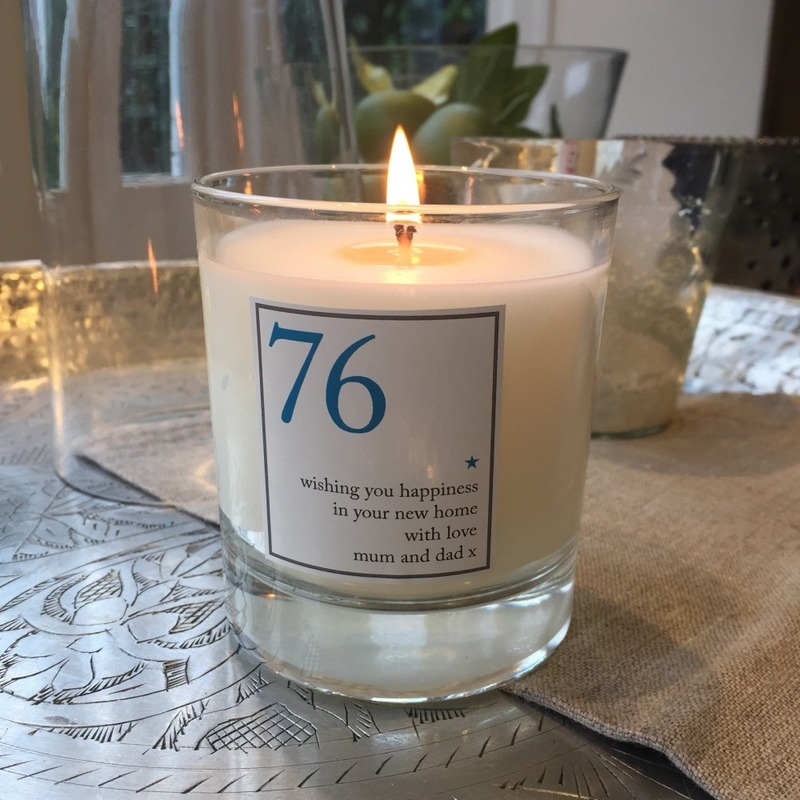 The candle label is personalised just for you with a large number of your choice and space for a special message. 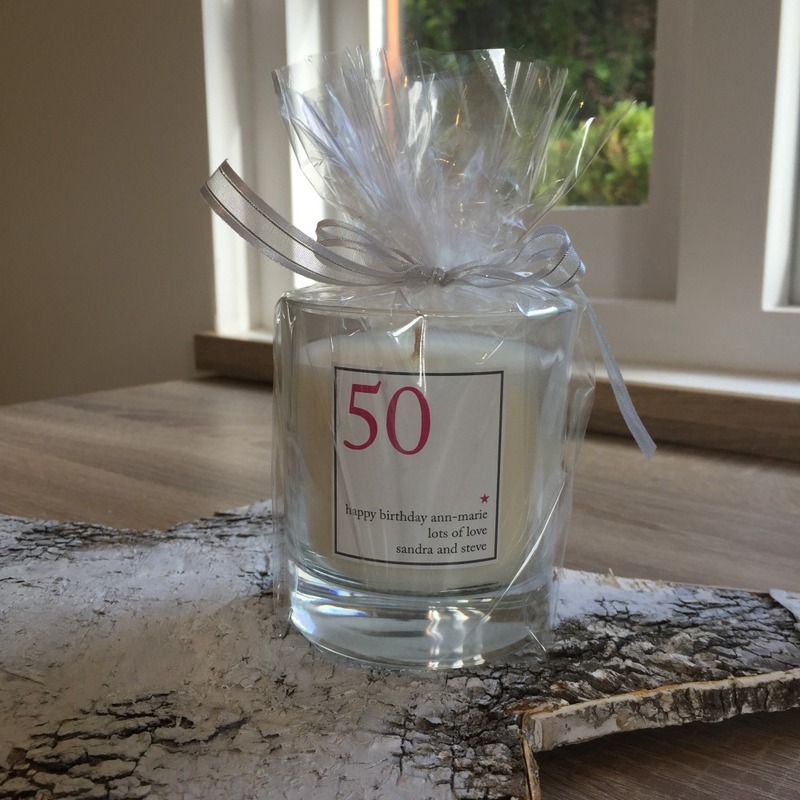 The bespoke label and candle makes this a great gift for a special birthday or anniversary celebration. Lemon Grass and Verbena candle is a fresh and uplifting lemongrass scented candle, with soft verbena blended with notes of melon, lime rose and jasmine. Green Fig and Ginger candle is a wild hispanic green fig with notes of aromatic ginger and a fresh citrus notes on a warm woody musky base. It has a wonderful lingering scent. Grapefruit candle is a juicy zesty grapefruit with sparkling notes of lemon and lime and a hint of exotic Physalis. Celebration Candle is a sparkling scent inspired by vintage champagne, with notes of strawberries and jasmine on a creamy vanilla and tonka bean base.